​Premier League giants ​Manchester United have joined the race to sign striker Luis Suarez from ​Barcelona amid interest from China, according to reports in Spain. MEN quote ​Elgoldigital in reporting that the Red Devils are monitoring the situation of the striker, who turns 33 next summer, with current club Barcelona looking for potential replacements. 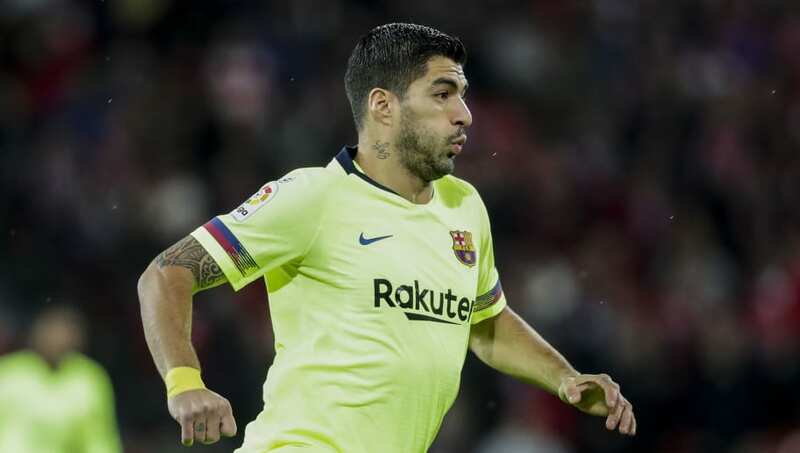 Suarez is a known quantity in the Premier League, where he established himself as one of the most feared strikers in the world, with the Uruguayan netting 82 goals in just 133 games for Liverpool. Fun fact: Luis Suarez was in England for three-and-a-half seasons. He's scored more goals against Norwich than Ipswich have managed in the last 12 years. However, it is highly unlikely that executive vice-chairman Ed Woodward would sanction a move for the former Liverpool star, considering that he turns 33 next summer, with the club's transfer policy not in line with his age. The Red Devils under Woodward's stewardship have targetted players below the age of 27, with the exception of Zlatan Ibrahimovic, as they look to inject youth and freshness in their squad, while also protecting their financial outlay.